knowing that your conversion is safe and durable. 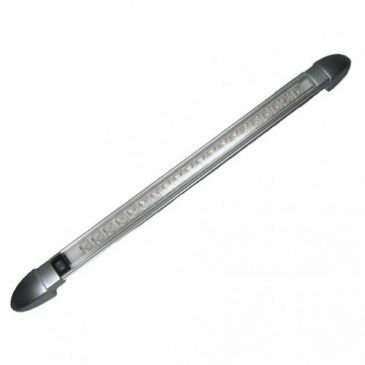 We'd strongly recommend our best-seller - the Labcraft Nebula 1000 LED striplight. 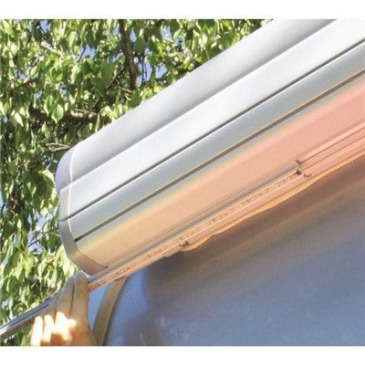 It is a long-life, high intensity light emitting diode striplight that offers great luminosity; complete with a 2 year guarentee. 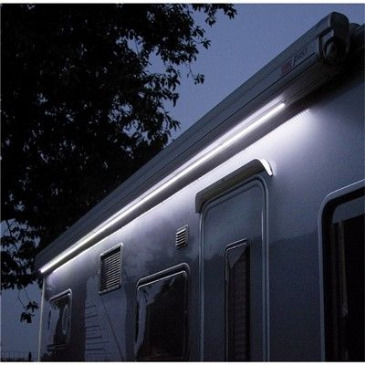 Courtesy of Labcraft's innovative LED technology, the Labcraft Orizon LED striplight is a great choice for any recreational vehicle (whether it be a campervan, motorhome, or caravan). Its versatility and efficiency is on offer for a price that won't break the bank. 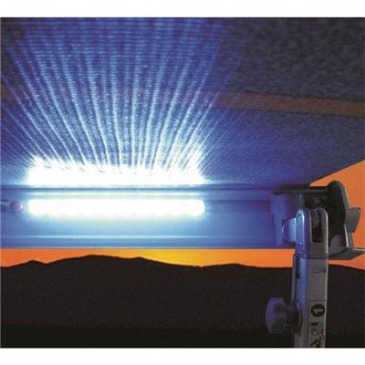 In terms of what Lumo has to offer, the Lumo LED striplight is a great purchase. 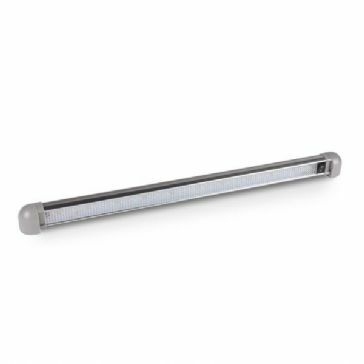 Functional and stylish, this switch-operated striplight is a very efficient replacement for other similar, traditional fittings. 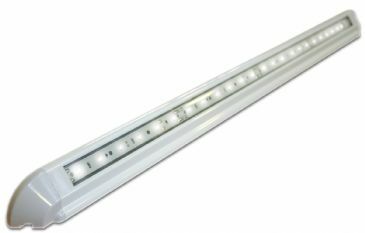 Long life, high intensity LEDs - The Nebula incorporates the Orizon LED strip light, which uses the latest in LED technology, offering optimum performance and extended life. 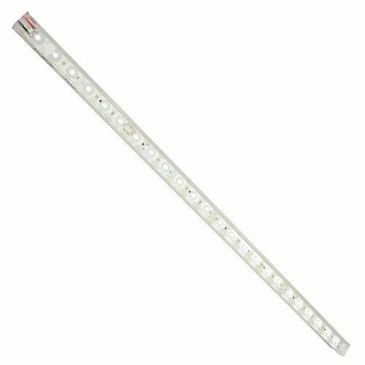 Long life high intensity LEDs* – by using the latest in LED technology the Orizon offers optimum performance and extended life. 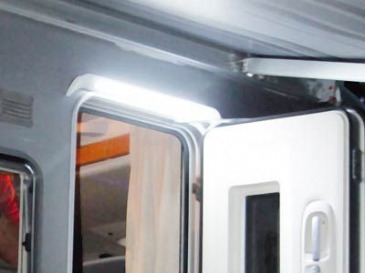 The properties of these LEDs give greater luminosity allowing us to offer a brighter unit whilst using fewer LEDs to maintain the low power draw. 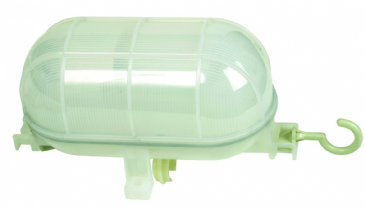 The attractive Lumo Mini LED20 Rotalite has all the benefits of long life and low energy consumption. 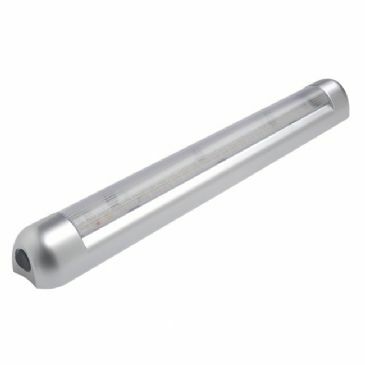 The fitting is switched and the LED barrel can rotate to direct the light. The unit is 12v and consumes 2.4 watts. 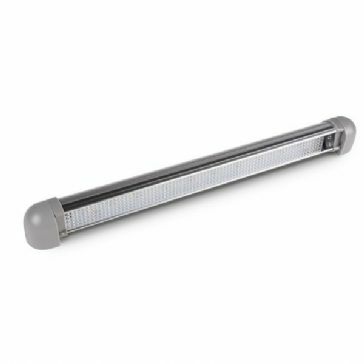 Elegant and innovative, this switch operated caravan light unit has a rotating LED barrel that allows you direct the light source where it is most needed. 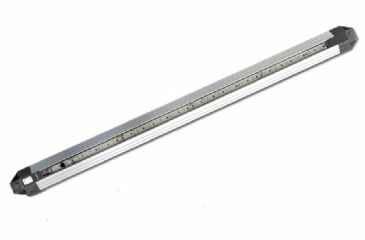 Hard wearing, the Rota Lite is an ideal under-shelf fitting. 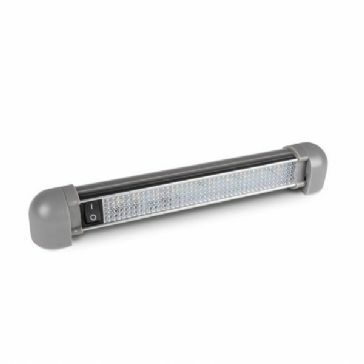 Alternatively, it is perfect for general lighting and with a low consumption of only 2W, it provides a very efficient light source too. 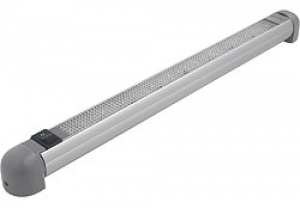 Functional and stylish, the switch operated LED18 StripLite is an LED replacement for many similar, traditional fittings. 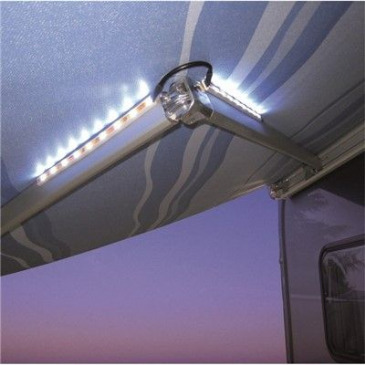 Ideal for use as an under-counter striplight, it only consumes 2W, making this caravan light a very efficient striplight replacement. 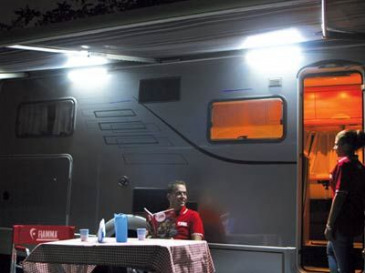 The Sunncamp Bulkhead Light is designed to clip to your tent or awning pole or simply hang from the hook provided on the light.